This would definitely help my empty wallet. LOL! Thanks for the chance! I like you one facebook! I love totally target !~!!!! I already like and love ya! What a fun looking gift card! OMG ! My daughter would love to have this to play with!!! Love your website keep up the great work. Super cute gift card, thanks! 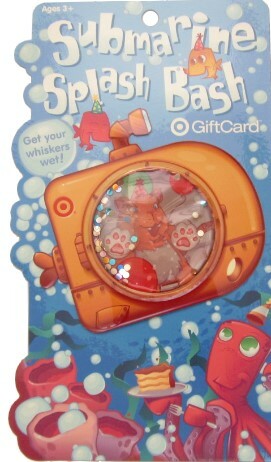 I LOVE Target, better yet, LOVE LOVE Totally Target, and wait for it… LOVE LOVE LOVE that submarine gift card! Lol. Put the 3 together, and that makes for a lot of LOVIN’! I have “liked” you on fb for awhile. So glad I found your blog, thanks for the chance to win! What a fun little giveaway. Such a helpful blog, thanks! I like you on facebook of course! Would love to win this, thanks for the opportunity!